STOP SUPPORTING PHP 5.2 IN YOUR NEW PROJECTS. No one using it is actively installing plugins, trust me. Yes, (unbelievably) WordPress still supports installations of PHP 5.2.4! As plugin developers, we can’t change that over night but we have the power to stop supporting these legacy versions in our plugins where we have control over the codebase. WordPress has always had a noble commitment to backwards compatibility which, although it seems to be wavering with Gutenberg, has meant no site has broken due to being on an ancient shared hosting server with a host who doesn’t upgrade PHP. Security is a big reason to upgrade. PHP security vulnerabilities are discovered all the time but are no longer patched in PHP 5.2 to 5.5. 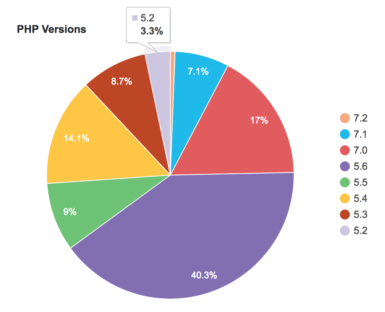 Just as the WordPress community advocates constantly updating WordPress core and plugins, the same should be applied to PHP versions. Site speed and performance should be a key concern for site owners and developers. I’ve said it before and I’ll say it again: a fast site == happier users, improved ranking from Google, and increased conversions. It turns out keeping up with the latest PHP version could see large performance improvements. PHP 7 allows the system to execute twice as many requests per second in comparison with the PHP 5.6, at almost half of the latency. Developing plugins when WordPress supports a wide range of PHP versions is extremely problematic. There is a vast difference between the type of PHP you can write between these versions, which affects how you write code and can have an effect on the user experience of your plugin. Constantly testing all aspects of your plugin on a wide range of PHP versions is exhausting and will ultimately lead to broken experiences and the odd white screen of death. For me, the biggest win of bumping the minimum version would be to be able to use namespaces wherever, whenever. 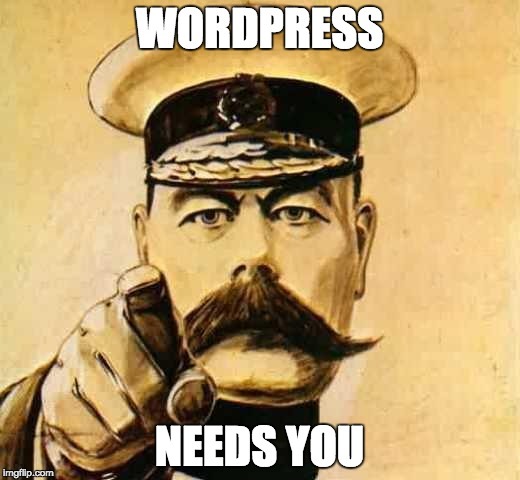 Heck, WordPress core could do with using them – PSR-4 and autoloading anyone? So what can you do to reduce the number of installs on legacy PHP versions and allow you to code happy? However, this isn’t a hard restriction and users can still install the plugin, but it’s a first step to get plugins to adopt the standard that WordPress can then use to impose further restrictions during the installation process, an approach that is still being discussed on Trac. The team at Yoast are doing great work to encourage their legacy PHP user base to upgrade with a non-dismissible notice for installs that aren’t on PHP 5.6 or above. They even have started a community effort to whip hosts into shape and have a neat open source package plugin developers can use to add a notice to encourage your users to upgrade. While we wait for the Trac discussion to roll on and the WordPress development wheels to turn we can take action ourselves in our plugins to stop them working on installs that don’t meet our requirements. We do this in our own plugins where it is strictly necessary (WP Offload S3 relies on the Amazon Web Services S3 SDK, which requires PHP 5.3.3+ and will we will move to PHP 5.5 in the future), and the more plugins that do this out of choice will help move the needle further. This looks like a really well thought-out approach with sensible deliverables that are planned for 2018. It’s a community effort so get involved! I hope 2018 is the year WordPress drops PHP 5.2 support but I won’t hold my breath. We need to push this forward in any way we can, so let’s stop supporting (really) legacy PHP versions in our plugins and if you build sites for clients make sure you get them hosted somewhere that cares about PHP versions. Are you encouraging your users to upgrade or do you refuse to support legacy PHP versions in your plugins? Let us know in the comments. This entry was tagged WordPress, Performance, Development, PHP, Backwards Compatibility.